I love Portal and its sequel. Actually, I never finished the second one in co-op because I don't often play and by the time I found some free time to play it again everyone else had finished it. I guess it has limited replayability. Anyway, if you're wondering what the hell this is, I wouldn't blame you (even though many people who aren't from the internet seem to have cotton on to the whole cake is a lie meme). 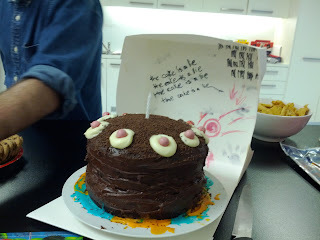 Someone from work baked it and brought it in. I was very impressed. "So, how are you holding up? Because I'm a potato!" I did think this was also rather impressive. Unfortunately, PotatOS it's not powered solely off the potato, but she does need to actually hooked up to operate. To operate? Yep. She spouts off lines from Portal. Why is there a PotatOS and what looks like a beer? A high school friend of mine had a house warming where everyone had to dress up as a video game character. 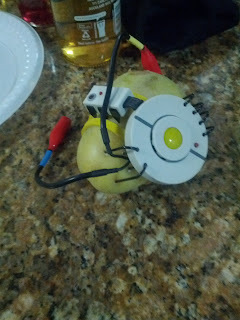 One of the guests came in a lab coat, PotatOS and, get this, one of those very limited edition Aperture Portal Devices. Yes, that's Mario and Luigi in the background. Why I have bandages on the outside of my arms, I have no idea. ... only no one really knew who I was meant to be either. 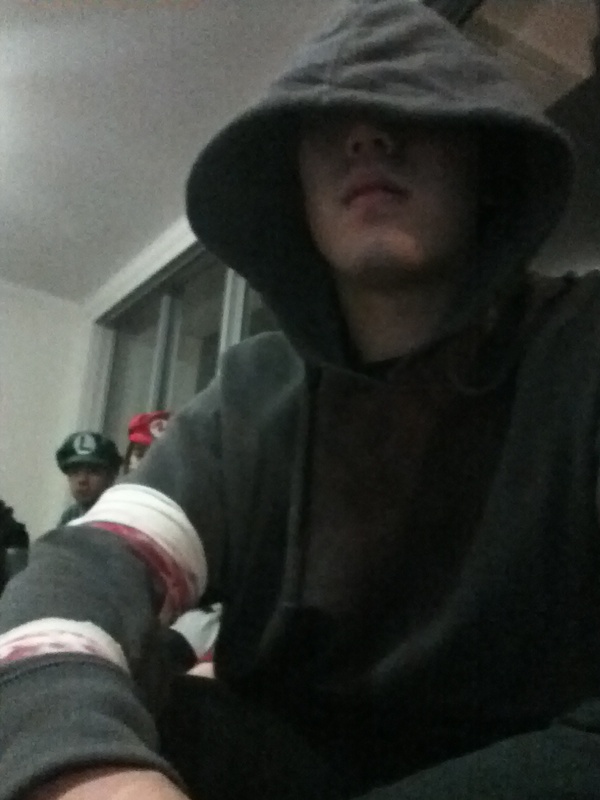 Admittedly, my costume was a bit haphazard, but I was meant to be a hunter from Left for Dead. 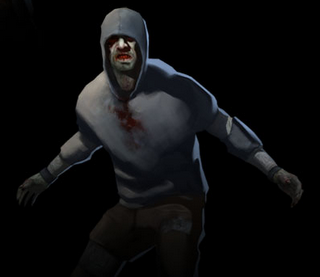 We tried the blood on my face, but decided I'd probably get it everywhere. Or eat it all first since we were using coloured honey. You wouldn't believe that it's easier to buy a brand new sweater and ruin it with bloody paint than go to a thrift shop and buy a second hand one. So it's going to turn into a top I wear when I go running on cold winter mornings. I don't know if I'll get weird stares from other joggers who think I've just cannibalised someone for breakfast, but if I do, maybe they'll run faster.